Home surveillance and monitoring systems are becoming extremely popular among New York City homeowners, especially in Brooklyn communities like Clinton Hill. Choose the wrong system, however, and you will do yourself more harm than good. Many of you will find the material below to be helpful before shopping around. Feel free to give us a call at (718) 484-4050 if you want to know more or if you’d like us to give you a bid for installation. We’re Brooklyn locals and understand the security needs of residents like you. An M&D expert will be pleased to answer all of your questions. There are numerous uses, but we find that a lot of Clinton Hill residents use home security cameras for a few particular purposes. Common uses are: As prevention for break-ins or burglary; to protect loved ones from intruders; to check in-home health care providers, household staff and babysitters. What are the most popular security camera systems for Clinton Hill homeowners? With our expertise in home and business security within Brooklyn neighborhoods, we can recommend a few brands that are the most popular and best equipped for Clinton Hill consumers. Our preferred brands for reliability, stability and ease of use are Bosch, Sony and Samsung. These are also the brands that we use the most, though we can service others. Network or IP cameras are the most in-demand home security systems among our Clinton Hill customers because they enable surveillance from almost any device. You can monitor your home from your computer in your office or even from your hand held device while on vacation. Dome cameras provide a 360 degree view so they can pivot in any direction. These are the gizmos you see in Atlantic City casinos. The dome glass is often hued, concealing the camera position. If you’ve been to Atlantic City, it’s likely you have noticed the “eye-in-the-sky” dome cameras just over your blackjack table. Artificial units tend to be installed as mostly deterrents and are little more than the camera shell. Dome camera casing is usually used for imitation cameras. These units are generally used by people who can’t afford an actual security system, but still want a deterrent for would-be intruders. They do a pretty good job since they are nearly indistinguishable from actual cameras. Security cameras for outdoor use are sturdy and able to endure extreme weather conditions. The lenses are usually created with fog resistant glass so moisture doesn’t impair the scene. They are often aimed in one area and have limited range. A few of the more expensive cameras can usually rotate their direction, however, most cameras are one-directional and need to be adjusted physically to change angles. With infrared technology, night vision units makes it possible for you to keep an eye on an area even though it may be completely obscured by darkness. Some of these units may also serve a dual purpose by permitting you to see continuously during the day or night. The majority of the previously mentioned solutions come with wireless and remote access technology so you don’t need to select from a good quality network camera and one that allows you to monitor your home while away. You can now have both. These devices are excellent options to avoid long cables, drilling and damage to your property. These babies are good if you don’t want someone to know that you are watching them. They can take the form of several different objects such as smoke detectors, lights and photographs. Many are so tiny, they could fit into a shirt pocket. A lot like Get Smart or Mission Impossible. They can be hidden almost anywhere, though we usually recommend very visible security cameras since they work as a deterrent and stop crime before it happens. Motion detectors can be set up with your alarm and home security system. Cameras are initiated when the sensor registers movement. Moreover, many receptors are able to alert a security company. Some Clinton Hill locals have their sensors set up for fire, smoke and harmful chemicals as well. Speak with your security pro to determine which options are best for you. Are surveillance and alarm systems hard to use? They have become easier recently despite their cutting-edge functionality. Your M&D expert will go through each and every function step-by-step with you until you are completely comfortable operating your security camera system on your own. What is the best way for me to set up my cameras? It would be irresponsible for us to offer tips about where to put your monitoring devices with no knowledge of the precise area you wish to observe. We run into a lot of installations that are partially complete or were done incorrectly because the customer purchased their unit at a discount or big box store instead of from a home security systems professional. These stores also sell low cost security units, which are very limited in the scope of their functionality. Your system may not be properly installed without the technician on site. Knowing just how to position your camera to attain top visibility, avoid glare and act as a deterrent is the work of a trained expert. Be sure to hire a professional installation technician. We’ll help you prevent costly problems in the future. How reliable are camera networks? When installed by a professional, they are highly effective at recording the specific activity you want. But a pro who knows what they’re doing won’t stop there, they will set them up as an effective crime deterrent so the robber or intruder will leave. Handle the installation yourself and you run the risk of thieves hacking your system and slicing wiring. Trespassers usually can recognize a system that was not put in by an expert. As we’ve said, use a pro. Don’t attempt installing your system yourself. Don’t risk the safety of your family by taking shortcuts. Call M&D at (718) 484-4050. Our specialists are experienced in Clinton Hill home security installation. We’ll make sure your new system is fully operational and that you are able to operate it without any help. As you are researching, look at both black and white as well as color units. Significant savings might be involved, but there are some other concerns as well. If the area includes extremes such as a lot of light or dim light, it’s better to use black and white as it will be easier to pick up weak images. When the area to be observed is inside your home, you can consider color, but it might not be necessary. Be aware of resolution. The better the resolution, the sharper the image. Low level camera resolution is usually around 330. Expect 400 for greater resolution models. It’s important to choose equipment that is compatible. It’s usually not a good idea to mix manufacturers unless you know which of them work efficiently together. 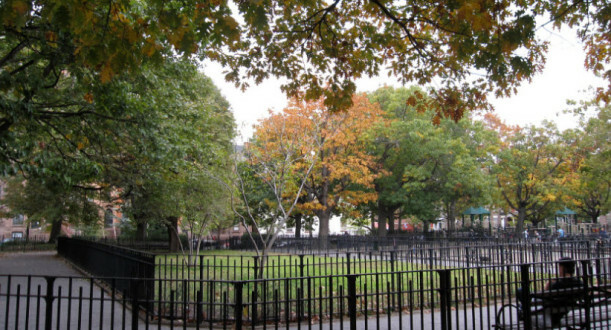 What should you expect to pay for a solution in Clinton Hill? The cost of your new system may easily determine the amount security for your home, but in order to address price, we’ll have to ask you some questions as well: What do you want to monitor? How many rooms do you need to keep track of? What’s the total square footage? Do you want indoor or outdoor security cameras? How cutting-edge would you like your new camera network? Do you require 24 hour surveillance, limited surveillance or motion sensors? In case you don’t know the answers to these questions, don’t stress. Give us a call and one of our technicians will come out and help you find the right solution for you. Call us today at (718) 484-4050. Hopefully you were able to get some helpful information from this post. The content here is by no means comprehensive so make sure to give us a call at (718) 484-4050 for those who have more questions or would like to talk to a security camera installation expert. M&D Locks and Keys is a local Brooklyn community partner and we know Clinton Hill. Odds are, a lot of our customers are in your community. Check our 5-star ratings in either Google and Yelp to see for yourself the level of quality we provide. Your family and property are far too important to trust dodgy installation companies. Contact M&D Locks and Keys today for an inspection and estimate to install a wall of safety and security at your home. We’d want to say thanks to all the Clinton Hill and Brooklyn residents who have used our security solutions in the past and have been so gracious to refer us to their family and friends time and again. What is more essential than the safety of your family? Putting in a reliable burglar alarm system, insuring you have the appropriate locks at all entry points, participating in a neighborhood watch program and installing security cameras at key points in the house are all good methods at preventing break-ins. We also recommend getting a dog to warn you any time something at home isn’t quite right. If you are going to spend time and money on a security camera system, make sure it’s done correctly. M&D Locks and Keys knows Clinton Hill as well as any Brooklyn locksmith and can help you with your security camera selection, installation and operation. Call us at (718) 484-4050.